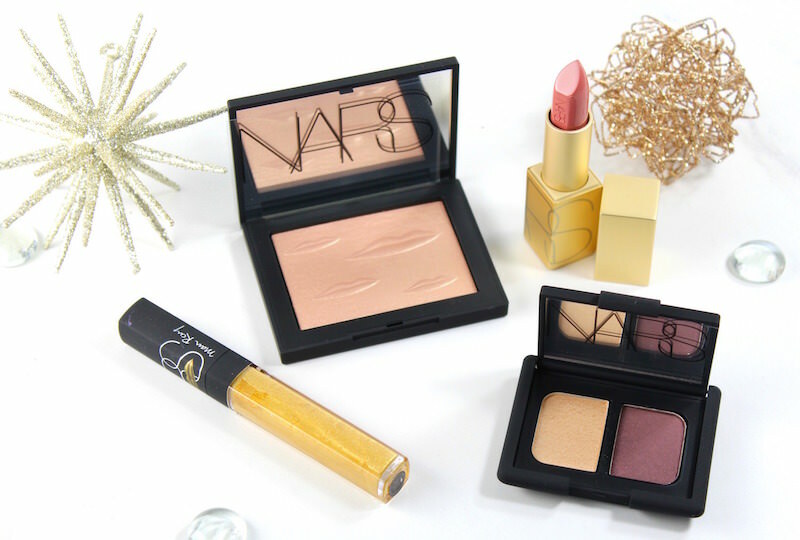 The NARS Man Ray Holiday Collection is out, and in a word, it’s electric! The bold shades are inspired by the art of modern master Man Ray. Fully charged colors insure that you will shine bright this holiday season. I received a preview of the NARS Man Ray Holiday Collection, and get ready to say “bye-bye money”, because it’s that good. 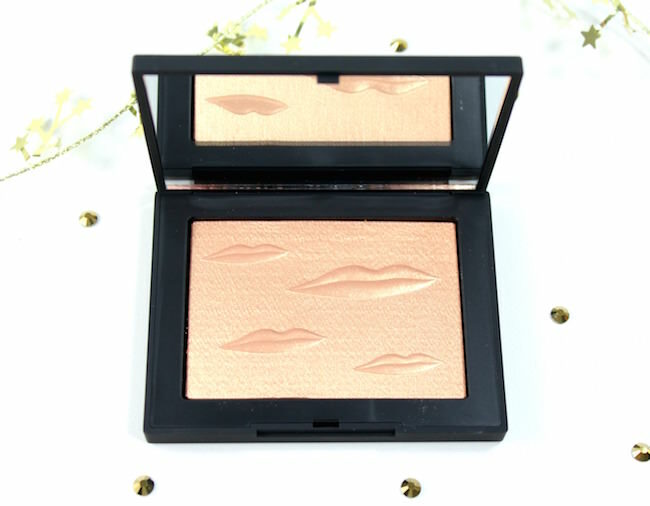 The heart and must-have piece of this limited-edition collection is the Overexposed Glow Highlighter in Double Take. It has a 3-D effect that’s stunning. The gold color is striking on, and once applied, the effect is more “strobe” than glow (this the brush I recommend for use with highlighters). 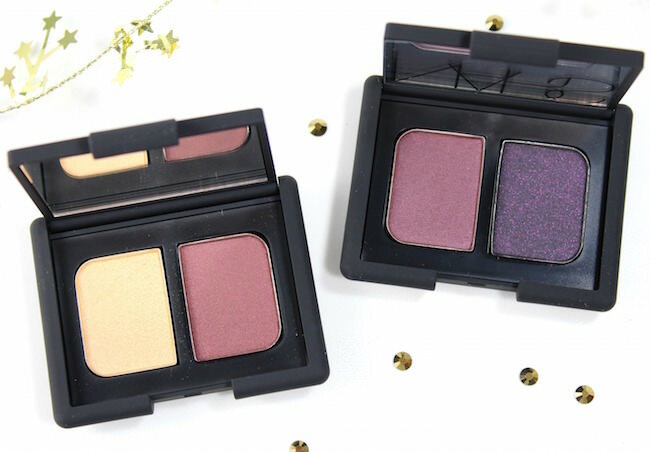 Duo Eye Shadow in Montparnasse (left) and Debauched (right). Either one of these shadow Duos is perfect for a holiday smoky eye. The finish on the right shade of the Debauched Duo is almost an exact dupe of the glitter finish in the Arabian Nights palette from way back (or even the 413 BLKR Duo). The colors in this palette are deep, smokey plum–gorgeous. The Montparnasse Duo also struck a similar note to others I already have. Check out the Isolde and Cordura Duos, if you have them. Blush shades of Intensely (bright tangerine) and Fetishized (pink grapefruit). 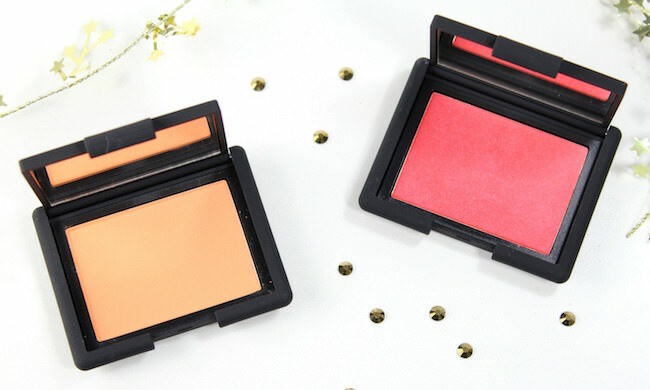 While admittedly these colors look a little bright at first, as I’ve found in the past with NARS blushes, you can totally control the amount of color. The Intensely Blush particularly, blends out to a very pretty color with matte finish. The Fetishized shade is my favorite, blending out to a pink-melon shade with more of a luminous finish. Photogloss Lip Lacquer in Kiki, Muse, Off Limits and Zambeze. I really like the Photogloss Lip Lacquers, which feature the intense color saturation NARS is known for, plus shine. The formula is very comfortable to wear, and to be honest, it’s a nice break from mattes. 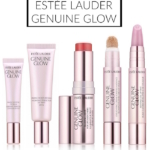 These colors are easy to pair with the eye and cheek offerings in this collection. To ride the metallic trend, pick up Muse or Off Limits. For a vampy holiday, you want Kiki; for a neutral statement, pick up Zambeze. 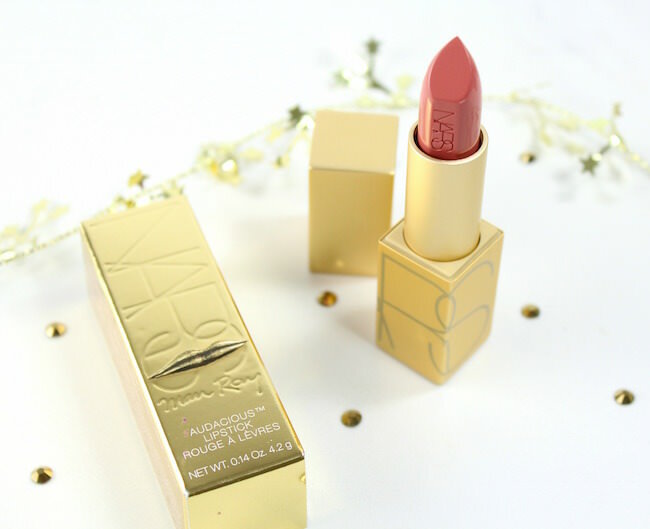 Audacious Lipstick in Anita – Perfect neutral pink in a gilded case for holiday! The NARS Man Ray Holiday Collection is out now, and this is such a gorgeous collection that if you see something, I would definitely grab it. You can find the NARS Man Ray Holiday Collection, along with gifting options (a separate collection) in department stores including Nordstrom, Sephora, NARS boutiques and narscosmetics.com. Do you plan on picking up anything from this collection? Tell me what you’ve got your eye on in the comments!